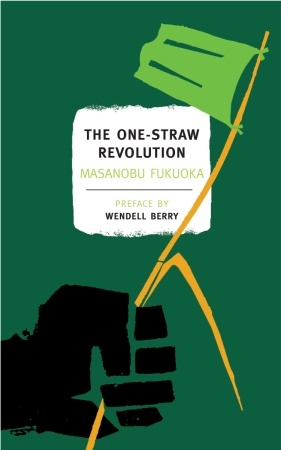 This week I’ve read an extraordinary book, Masanobu Fukuoka’s One Straw Revolution. I first heard of it through Tom Hodgkinson at the Idler, and have seen it mentioned several times since then in various places. 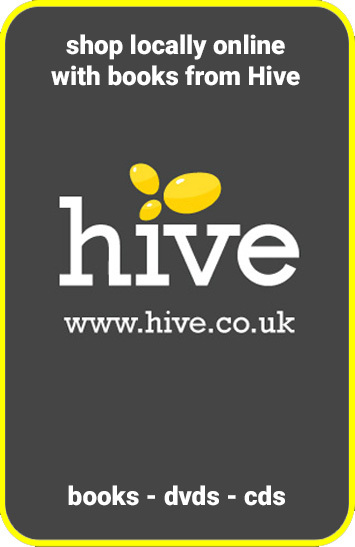 It’s something of a classic in permaculture and organic gardening circles. Fukuoka was a plant scientist working in Japan in the 1940s, advising the government on the best crops and edible plants to sustain the country during the war. Shortly afterwards, he had something of an epiphany about science, and gave up his job and returned to the countryside to farm. This conclusion required a good deal of trial and error, and lots of dead plants along the way. The One Straw Revolution tells his story, from his start as an idealistic young man to a troublesome visionary with a constant string of visiting experts, researchers, and travelling hippies wishing to learn his secrets. Those secrets include such imaginative ideas as planting one crop before the other is harvested, so that the new crop gets the jump on any weeds. Fukuoka grew his vegetables ‘semi-wild’ on the mountain slopes, sometimes pressing seeds into balls of clay so they wouldn’t be eaten by the birds, and then throwing them out to take their chances. He farmed rice and barley, harvesting it and scattering the straw straight back onto the fields, a policy of “returning to the soil everything grown in the field except the grain itself”. Nitrogen fixing ‘green fertiliser’ such as white clover grew across the ground in between crops and across the orchard floor around his citrus trees. Chickens and ducks roamed free and ate the insects. But, you don’t really read The One Straw Revolution for gardening tips. For one thing, it’s only directly relevant to Japan. More importantly, the book is as much a work of philosophy as it is a life story or an explanation of natural agriculture. Fukuoka believed that we don’t really know anything about how nature works, and that much of modern farming was setting itself up for failure. He rails against growing out of season vegetables that are a “watery concoction of nitrogen, phosphorus and potash, with a little help from the seed”, and Japan’s growing taste for meat. He predicted that if the Japanese diet continued to change the way it was, there would be a food crisis in thirty years time. In that he was not uncorrect – Japan is the world’s biggest food importer, and has led the charge in land-leasing deals in Africa. Fukuoka is an amiable and ingenious writer, and The One Straw Revolution is full of passion for the earth and its generosity, and bemused irreverence towards false ideas of progress. You won’t agree with everything he says, perhaps his views on education and health in particular, but this is nevertheless an unusually wise and refreshing read. I’m a Fukuoka-ist. Sad that he’s gone but there are his books still. I’ve made, thanks to Mr Fukuoka’s encouragement, thousands of seedballs and spread them all over. I even built a Jim Bones drum to mass produce them! Our garden/food forest/orchard is one that I’m sure Mr Fukuoka would have loved to visit, but he didn’t travel to New Zealand, so far as I’m aware. Nice to hear from someone who’s actually using the techniques in practice. And thanks for the link!